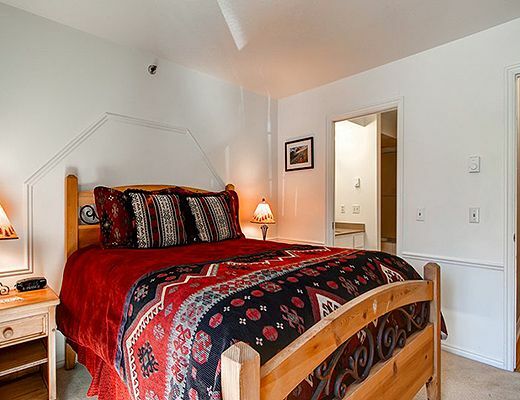 The master bedroom offers a queen bed and 32" TV. 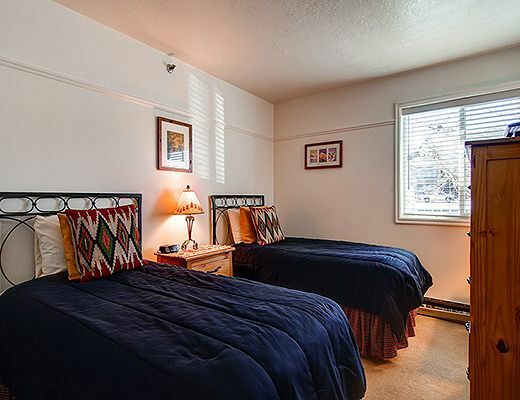 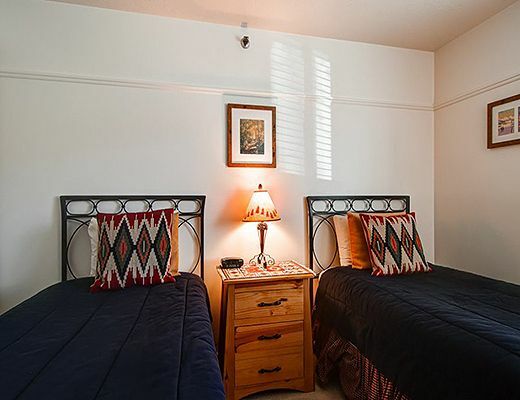 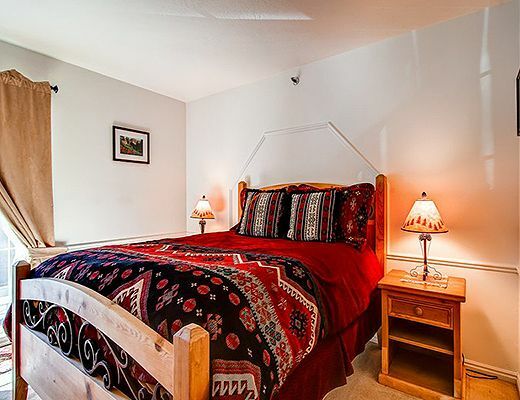 The guestroom has two twin beds, that convert to a king with advance notice, and a 32" TV. 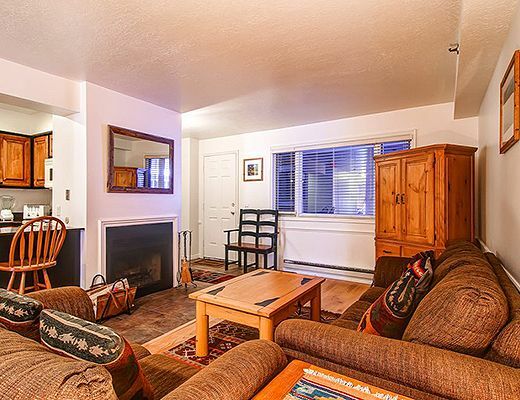 There is a sofa-sleeper in the living room with a 39" TV and wood burning fireplace. 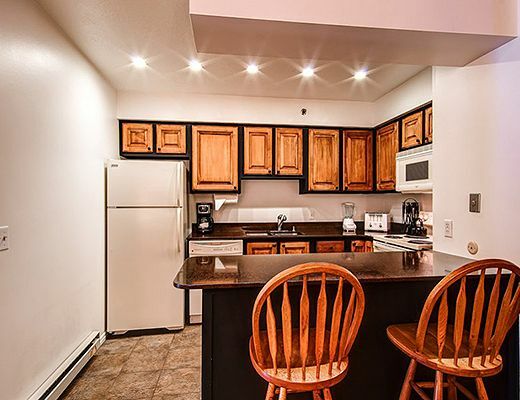 Full kitchen with dining for 6 plus 2 counter stools. 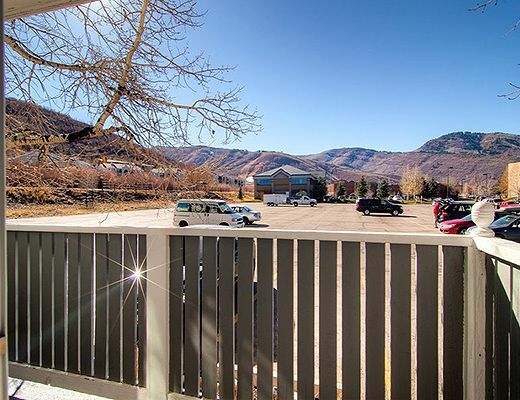 Mountain views from balcony. 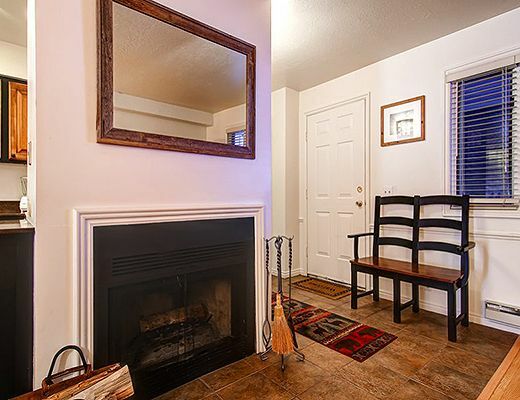 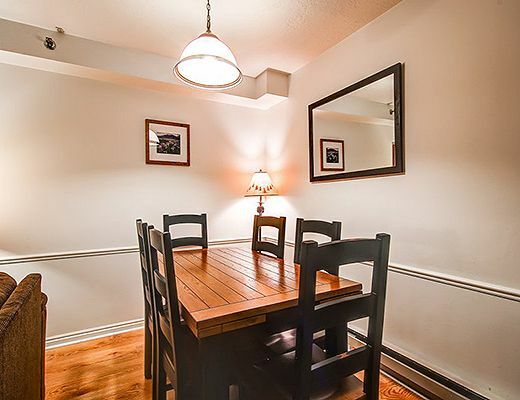 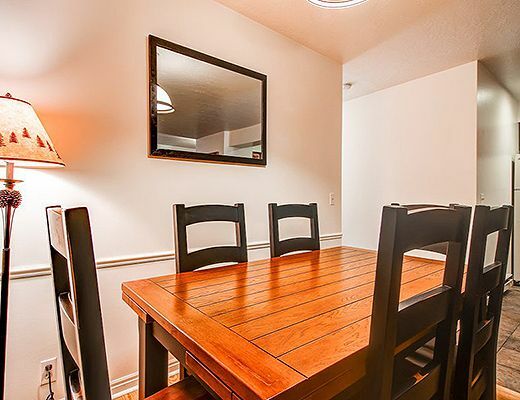 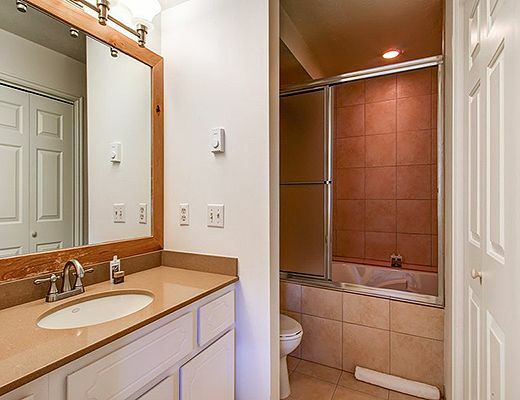 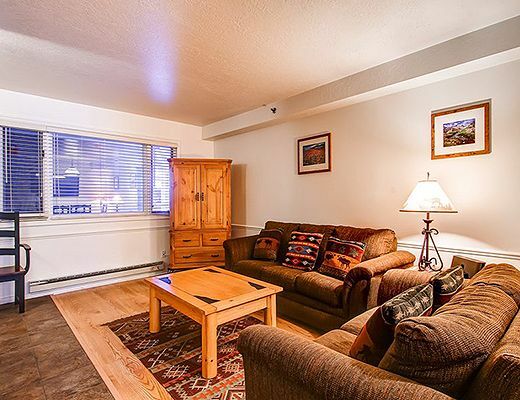 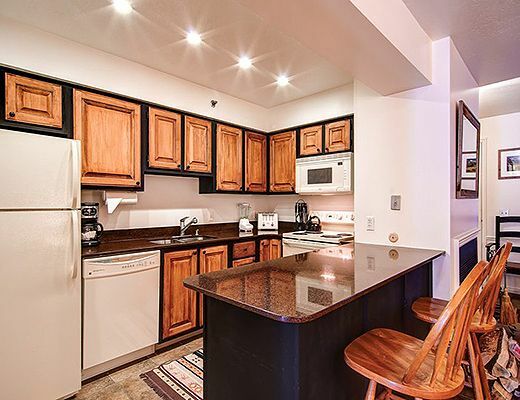 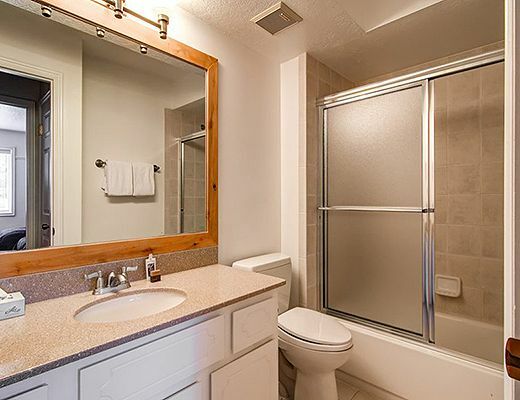 Year-round common area hot tub, free wireless internet, shared washer/dryer, elevator and underground parking.